Aadhar’s Homoeopathic Medical College & Hospital was established in the year 1982. The college was earlier known a Maratha Mandal Homoeopathy College then it was in the name of Shree Shiv Basav Jyothi Homoeopathic Medical College & Hospital Belgaum Now College renamed as a Aadhar’s Homoeopathic Medical College & Hospital. The college presently run under Aadhar Education Society in the leadership of Chairman, Dr. D. T. Bamane . The management fully committed to impart a quality education in Homoeopathy. The college is recognized by Central Council of Homoeopathy New Delhi. It is recognized by Govt. of Karnataka and affiliated to the most prestigious Health University of Karnataka, i.e. Rajiv Gandhi University of Health Sciences, Karnataka, Bangalore. . The College provides a degree course of BHMS of 51/2 years duration including one year internship. The college has an intake capacity of 50 students per year. 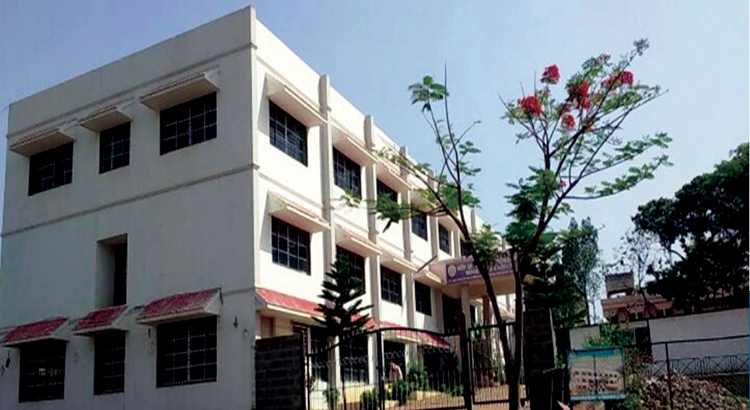 The college is located at MM Extension, Ram Nagar in the city of Belgaum. The college has a well established infrastructure with fully equipped departments. The college has centralized library with enormous collection of books. The College provides sufficient facility for co-curricular and extra – curricular activities for students. The college is attached to Aadhar hospital. The hospital has separate fully equipped wards with OPD and IPD facilities. Dr.M.A. Udachankar with wide academic experience serves as the principal of the college.